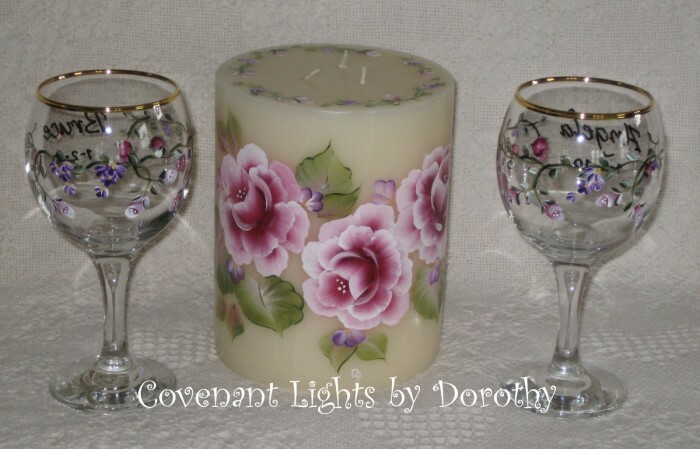 "Dear Dorothy, The candles arrived and they are beautiful. 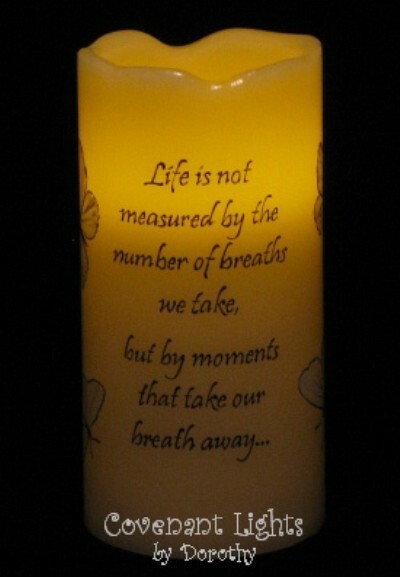 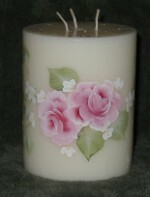 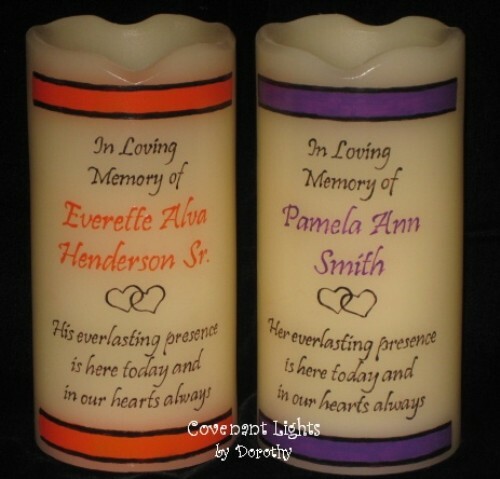 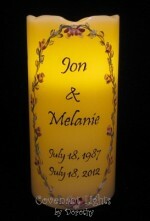 I had been looking through several candle websites containing candles of every shape and description. 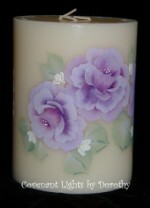 I must say that you sell a quality product.... 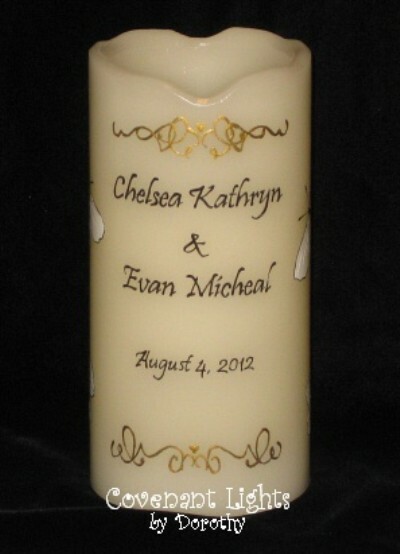 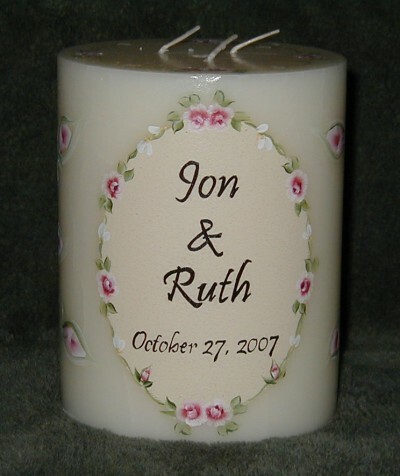 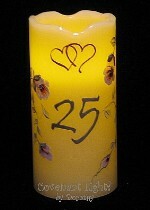 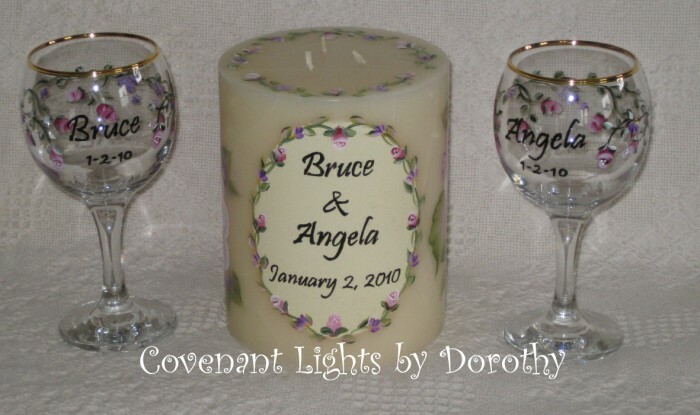 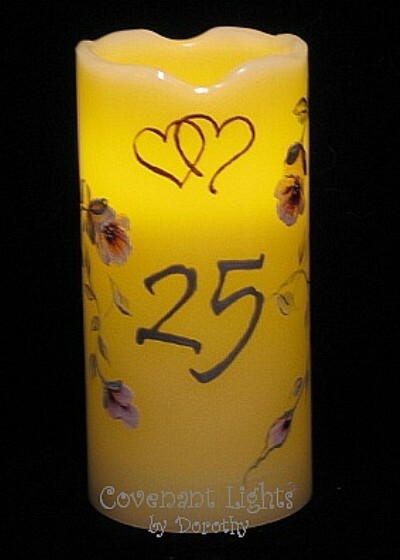 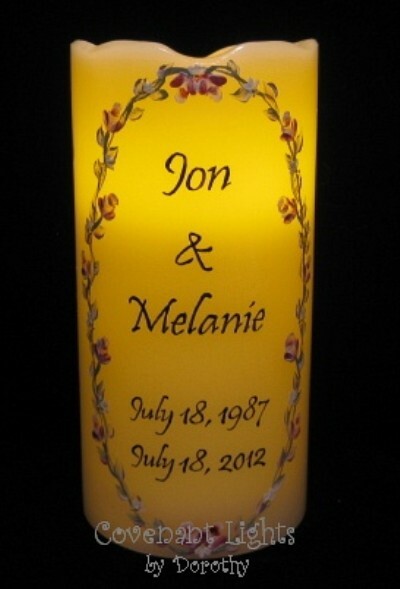 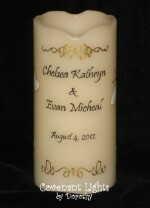 I know my wedding will be much more because of the hand painted candles...."
Name of Bride & Groom and wedding date hand painted in an oval of rosebuds on the front. 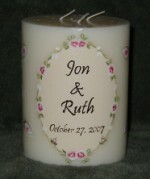 Entwined hearts and number of years married surrounded by larger rosebuds and greenery on the back. 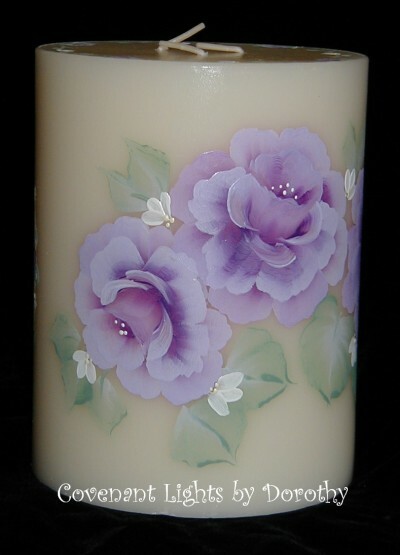 Candle shown in pictures has been turned on.